Year 7 is the first year of the students’ Key Stage 3 studies and is a crucial time in a young person’s education as it sees the transition from primary to secondary school. It is a challenging time, both academically and socially, for the student and one, which is helped through our close liaison with the primary schools in the months preceding the transition. During Year 7 students continue to follow a common curriculum, which includes the following subjects: English, Mathematics, Science, Modern Foreign Languages, Technology, History, Geography, Philosophy & Belief, Art, Music, Drama, ICT and Physical Education. PHSE is taught, as in other years, as a combination of lessons and during tutor time. Year 8 is the second year of Key Stage 3 studies. Students build on the good habits learnt in Year 7 and work towards reaching their Key Stage 3 targets. During Year 8 students continue to follow a common curriculum, which includes the following subjects: English, Mathematics, Science, Modern Foreign Languages, Technology, History, Geography, Philosophy and Beliefs, Art, Music, Drama, ICT and Physical Education. PSHE is taught, as in other years, as a combination of lessons and during tutor time. Year 9 is the final year of the students’ Key Stage 3 studies. It is a busy and very important year in which students will take examinations in the core subjects and also be choosing their GCSE courses for Year 10 and 11. 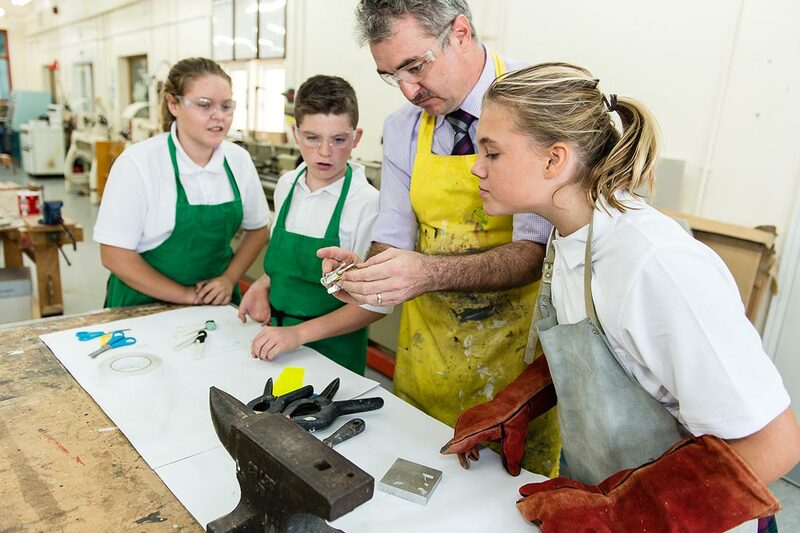 During Year 9 students continue to follow a common curriculum, which includes the following subjects: English, Mathematics, Science, Modern Foreign Languages, Technology, History, Geography, Philosophy and Beliefs, Art, Music, Drama, ICT and Physical Education. PSHE is taught, as in other years, as a combination of lessons and during tutor time.